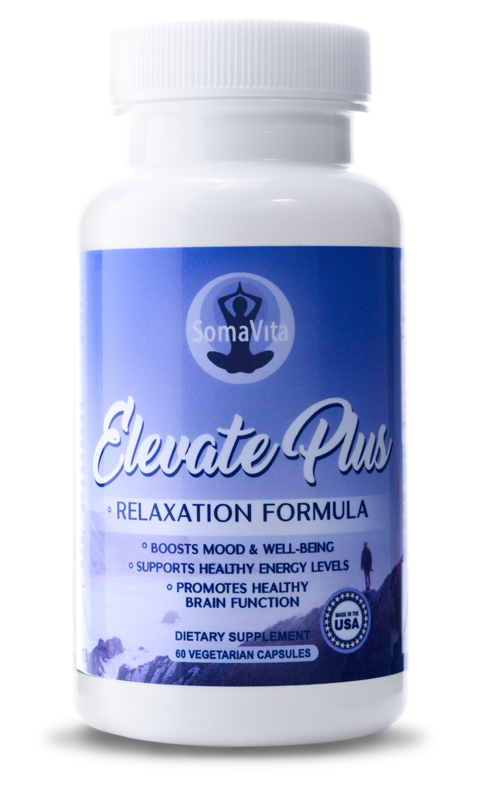 No seriously, our powerful mood supplement, ElevatePlus, will ease your stress & calm your mind. Made with natural herbs and nootropics- With ingredients fully dosed based on their clinical trials. Find your flow, elevate your day. Wind down, quiet your mind and bring yourself back into the moment. Reclaim your inner confidence. If, for whatever reason, you're not satisfied, you can return ElevatePlus free of charge. We'll even pay the return shipping. You've got nothing to lose! (return policy). If you have a video testimonial you'd like to submit for a chance to get featured, please contact us here. SomaVita started out with the dream of providing high-quality supplements to improve people's lives. We were tired of seeing all the under-dosed and ineffective supplements on the market. So we created the most powerful mood booster known to man. Introducing ElevatePlus- a potent combination of herbs and nootropics. The doses are based on clinical trials, so you know you're getting your money's worth.